Winter is the perfect time to start considering what you can do over the coming months to ensure your pool and pool area is looking as good as possible for when Summer arrives. Whether you are looking for small improvements you can make yourself or are wanting a full overhaul, we’ve listed 5 ideas to help you transform your pool into one you and your family won’t want to get out of! Adding features to your existing pool is the easiest and quickest way to change the appearance of your pool area, and while some do require professional installation, there are also some features you can easily do yourself. These can include LED lights (which turn your pool into a stunning attraction at night), slides, waterfalls and fountains in every style imaginable. Just adding a water feature to your pool can turn it from a simple swimming area, into a much more visually appealing, luxurious space. 2. Update your pool fencing – a small change that makes a big difference! A lot of pools, particularly older ones, have outdated fencing around the pool which greatly subtracts from the overall value of the area. There are a number of fencing options you can make for a relatively low cost that will completely change the feel of your pool. 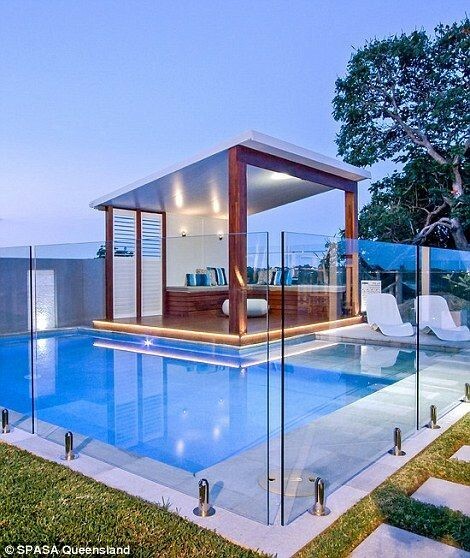 Elegant border-less glass fencing is currently one of the most popular designs – not only does it show off the pool, but parents love the idea of being able to safely watch their kids without having their view obstructed. More natural wooden fencing is also highly favoured, and can be used to either completely screen off the pool area, or to help it blend into its natural surroundings more. Just be sure to check with your council before replacing your pool fence to make sure you’re choosing one that meets both safety and council regulations. Vinyl pool liners are loved for many reasons including the extensive range of colours and patterns available, their silky smooth texture, low maintenance and how easy they are to clean. By simply replacing your old vinyl liner with a new one in a different colour, you can drastically improve the look and feel of your swimming pool. 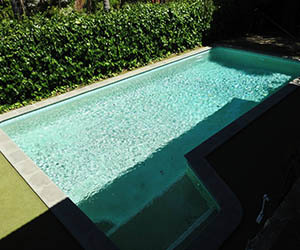 A selection of the varying vinyl pool liner colours can be found here. Concrete to vinyl pool conversions are also a popular way to resurface tired old concrete pools resulting in a more modern look. It’s very easy on your behalf as well – just contact a local vinyl pool professional like Oceanic Pools and let their team do it all for you. If you’re happy with your existing pool but feel that its surroundings are letting it down, focus on what you can do to improve the nearby area. This can include landscaping such as adding in new plants, shrubs and ferns, or replacing/renewing the pavers or decking surrounding the pool to create a stunning backyard oasis. If you have a larger budget and area, building an outdoor bar, kitchen or entertaining area near your pool is a sure-fire way to increase the value and look of your backyard. The possibilities are endless! Again, make sure to check with your local council if you’re planning on introducing new structures to your pool area. This is for those who really want to make an impact and significantly upgrade and modernise their existing pool. This can include any number of pool renovation ideas such as changing the pool shape and size or adding modern safety features such as new steps or child friendly ledges. It’s very common for those with older pool styles in particular to request their pool be changed into a more modern design. These renovations should be done by professionals such as Oceanic Pools and while this is a larger financial investment than the other options, it is also the most impressive way to completely transform your pool and entire backyard area. 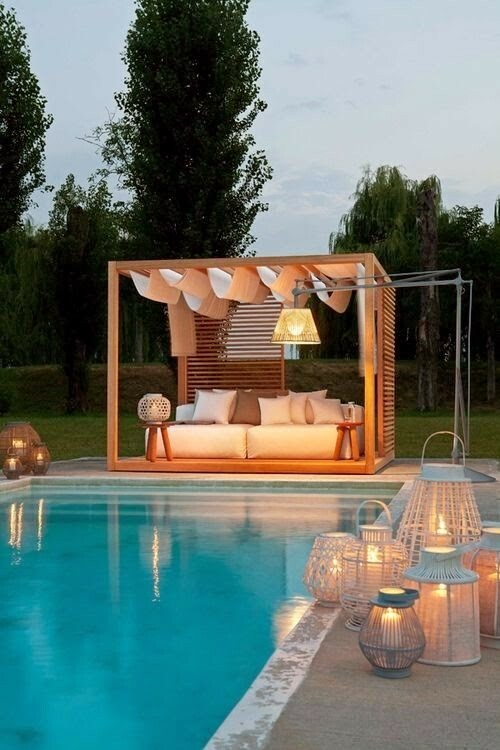 A modern looking pool can also greatly increase your home’s value! Whichever pool renovation option you are contemplating, make sure you consider your budget, time frame, personal skills and future maintenance. In addition, it’s important to ensure you employ an experienced professional to carry out any work that can’t be done yourself. 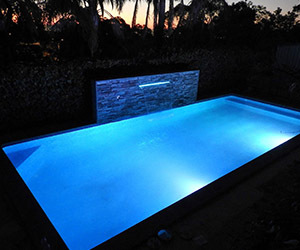 Oceanic Pools service the whole Perth Metro and South-West area of Western Australia and are the leaders in vinyl pool replacements, renovations, repairs and concrete conversions – they can even help with the planning and installation of features and landscaping. Contact them today to get your free quote and see how you can transform your current pool into a stunning area you will love for years to come.